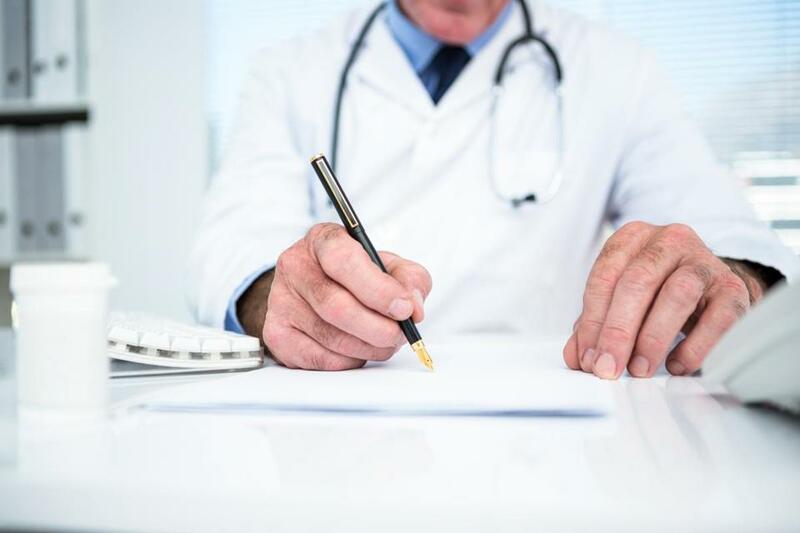 Nearly half of Massachusetts doctors in busy specialties received payments or meals from pharmaceutical makers, but the practice appears to have had little impact on their prescribing habits, according to a new analysis. The data suggest differences between the state’s physicians and those across the country: A higher percentage of doctors nationwide get payments from industry, and those that do tend to prescribe brand-name drugs at a higher rate. Of 4,183 family medicine doctors, internists, cardiovascular physicians, psychiatrists, and ophthalmologists in the state who wrote significant numbers of prescriptions, 49 percent received payments from drug and device makers in 2014. That is the fifth-lowest percentage after Vermont, Minnesota, Wisconsin, and Maine. Several doctors who study the issue pointed to the large number of academic medical centers in Massachusetts — and the many physicians affiliated with them. The analysis, conducted by ProPublica, an investigative journalism group based in New York City, took data collected by the federal government on drug and device company payments to US doctors and linked it to Medicare prescribing information. ProPublica found that doctors nationally who accepted payments from manufacturers were two to three times as likely to prescribe high rates of brand-name drugs. The higher the payments on average, the higher the rate of brand-name prescribing. This was not true in Massachusetts — perhaps because brand-name prescribing in general is less popular here than it is across the country. Of doctors who took payments, 3.7 percent prescribed high rates of brand-name medicines. For physicians who did not accept payments, the rate was 2.6 percent. National rates were 13.3 percent and 5.9 percent, respectively. Overall in the state, 63 doctors in the five specialties received more than $5,000 each in industry payments, according to the analysis. Physicians who accept speaking fees, meals, and other types of remuneration long have maintained that these extracurricular activities have no impact on how they care for patients, including the medications they recommend. But critics of the practice are skeptical — and there is growing data to support the argument that payments affect prescribing habits. Dr. Aaron Kesselheim, a professor at Harvard Medical School who heads a research program on legal issues related to drugs and devices at Brigham and Women’s Hospital, published an article three years ago that also found that fewer Massachusetts doctors seem to accept payments when compared to physicians nationally. He found that 25 percent of Massachusetts doctors reported to a state tracking program at least one payment of $50 or more. He said many large academic medical centers and medical schools in the state, including the Brigham, Massachusetts General Hospital, Boston Medical Center, and the University of Massachusetts, have prohibited physicians from accepting certain types of gifts, and in some cases, from participating in industry speakers bureaus. It’s unclear why Massachusetts doctors who get payments may not prescribe higher rates of brand-name drugs on average, but Kesselheim and Husney said that may also be related to the prevalence of academic medicine. Doctors at teaching hospitals may receive more education about generic drugs, and hospitals may have stricter rules requiring use of generics. Still, industry payments and meals remain common — despite years of scrutiny of the practice and new restrictions. Dr. Thomas Treadwell, an internist in Framingham, received $39,313 in payments from pharmaceutical companies in 2014. He also had a very high rate of prescribing brand-name drugs. But he said the data are misleading because he treats primarily patients with HIV and Hepatitis C, diseases for which there are few frontline generic medications. Janssen Products gave Treadwell the largest portion of payments for giving talks about Prevista, a protease inhibitor used to treat HIV, with no generic equivalent on the market. Like Treadwell, Dr. John Miller said he does not believe his work for industry biases his patient care. Miller is a psychiatrist who received $271,370 in company payments in 2014 and has a high rate of prescribing brand-name drugs. He said he prescribes the best drugs for his patients — and discloses to them his relationships with drug companies. While he is listed as the highest paid doctor in Massachusetts in the federal database, Miller said he moved years ago to New Hampshire, where he sees patients 12 hours a week. (He did not update his contact information in a federal database.) The rest of the time, he educates psychiatrists, primary-care doctors, and nurse practitioners about psychiatric drugs, and their benefits and risks. He said his talks are tightly regulated because companies that create slides for talks must stick to information found on package inserts approved by the US Food and Drug Administration. Even if a speaker is sticking to FDA-approved packaging for a drug, that doesn’t mean the talk is unbiased, critics said. The speaker may not provide the full story regarding generic equivalents, other brand-name medications that have fewer side effects, or even nondrug treatments for a disease. “There is plenty of data showing that industry-sponsored promotional education really lacks in many ways,’’ Kesselheim said.